Keystone Resort, CO -- Those looking for an escape from the hot summer heat can visit Keystone, Colorado for it's 16th annual Bluegrass and Beer Festival, one of the most popular events of the summer at the resort. Festival goers can look forward to cool mountain temperatures, live bluegrass music across three different stages and sample all the beer they'd like from over 30 different breweries, from Colorado and beyond. August temperatures in Keystone average at about 75 degrees, with sunny blue skies and cooler nights, making it a quick and easy getaway from the city summer heat. 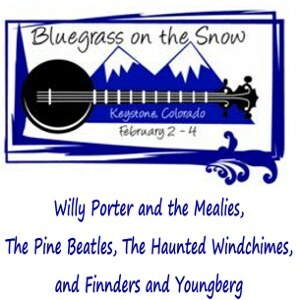 Keystone, CO -- Keystone Resort is hosting the first ever 'Bluegrass on the Snow' winter bluegrass music festival next weekend, February 2-4, 2012. It will feature music performed live by Willy Porter and the Mealies, The Pine Beatles, The Haunted Windchimes, and Finnders and Youngberg, in addition to many other acts.